There are several benefits of giving dogs probiotics. Just as they do for humans, probiotics help dogs prevent and relieve issues with digestion. Many may decide to start their pets on probiotics when their dogs are still puppies to take advantage of the benefits of probiotics. A puppy already has a clean and sterile digestive tract, so the tract can actually be fortified during this time. Weaning is also another time probiotics are very beneficial since they help the digestive system adjust from mother's milk to wet or dry dog food as well as adjust to digestion and absorption to nutrients. 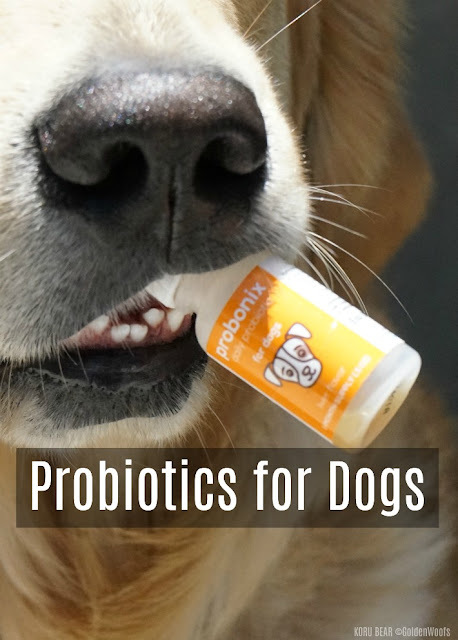 Probiotics are also useful after an antibiotics treatment because antibiotics kill off all the bacteria in the dog's system including the good bacteria. These bacteria need to be restored and replenished in order to keep the dog's intestinal microflora in the digestive tract in balance. Dogs that have had digestive disorders, especially from infectious diseases, may also benefit from probiotics. There are many signs of problems with the digestive tract including bloating, constipation, diarrhea, flatulence and vomiting among many other symptoms. Allergies and other skin problems are also symptomatic of imbalance in the intestines as are signs of stress. There are a lot of probiotic supplements that help dogs strengthen their immune system or help them recover from illnesses related to the digestive tract. Many are even organic or natural so contain no artificial elements. Supplements may be mostly found in powder form though digestible enzymes are also used. If a dog has special dietary needs such as a gluten or lactose free diet, there are a lot of supplements that with no lactose and no gluten . There are no known side effects to using probiotic supplements, but there are also alternatives if supplements are not the way to go for providing a pet with probiotics. For instance, topping dog food with live yogurt cultures has the same effect as supplements. Vitamins are not known to work as well as supplements, but they do provide some of the same benefits. If supplements are on the agenda, there are many outlets including pet specialty stores and health food stores that provide a range of choices. Shopping around for inexpensive supplements will also save a little money as well as possibly bring up deals on bulk items. Probiotics for dogs are very important in seeing that a pet lives a healthy and productive life.